Brushy Hill's nearly 13,000 acres is teeming with wildlife including trophy whitetail deer, wild hogs, Rio Grande turkey, small game and predators. More detailed information about the kinds of hunting available, can be found on the "Bowhunting" page of our website. The ranch's philosophy is to provide hunters, year-round, with the best "fair chase" hunting South Texas has to offer, at an affordable price! At a time when hunting prices are sky-rocketing, Brushy Hill's affordable prices provide hunters with the opportunity to do more hunting each year! Brushy Hill Ranch is a fully working ranch. As long as there's enough rain, oats, coastal, and hay grazer are cultivated annually which provides a high protein supplement to the wildlife's natural food sources. 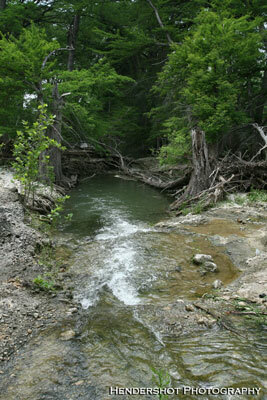 One of the biggest "day lease" ranches in Texas, Brushy Hill first began allowing bow hunting on the ranch in 1995 . 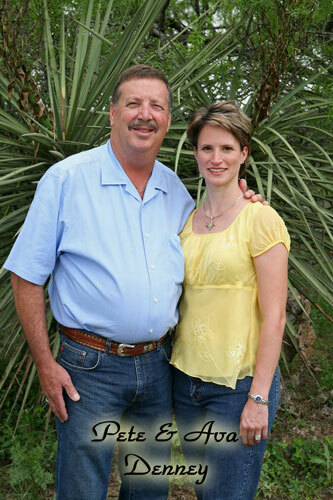 Since then, the ranch has become one of South Texas' most popular bowhunting ranches. Each year Brushy Hill hosts hunters from all over the United States and North America. The ranch is also a favorite with groups like the Lone Star Bowhunters Association, which hosts its annual "Grunts & Gobbles" hunt at Brushy Hill each spring during turkey season! No Trophy Fees, Kill Fees or other Hidden Costs! There are NO trophy fees, kill fees or other hidden costs at Brushy Hill- the daily rate (check out our pricing!) is the only charge hunters pay. Whether you harvest a "meat" animal, record whitetail or exotic, the price is the same! Hunters at Brushy Hill don't need to worry about calculating the cost of an animal in those last crucial seconds! This means you can just HUNT,without worrying whether the shot will end up cleaning out your bank account. The single exception being a replacement fee charged to hunters who shoot a whitetail deer outside the management guidelines. Brushy Hill's management program requires hunters to harvest only bucks with at least a 14-inch inside spread or spike bucks with un-branched antlers that are at least 7-inches long. During the current season, the ranch is encouraging hunters to shoot all the long-horn (over 7" on both antlers) spikes they can- these long horn spikes will NOT count as the buck(s) included with each hunt package. We are also including a doe with every whitetail hunt and we're encouraging hunters to shoot does, to help manage our doe population. Hunters who harvest animals that fail to meet management guidelines will be charged a $750 ($1000 for buck 12" or less inside spread) replacement fee for each animal they take outside the guidelines. Repeated violations of the management guidelines may result in that hunter being asked to leave the ranch. If blood is drawn on a whitetail or a turkey, that counts as a kill, whether a hunter finds the animal or not. So, make your shots count! Camps are regularly checked by state Game Wardens, ranch staff and members of the "Friendly & Ethical Hunters Program." 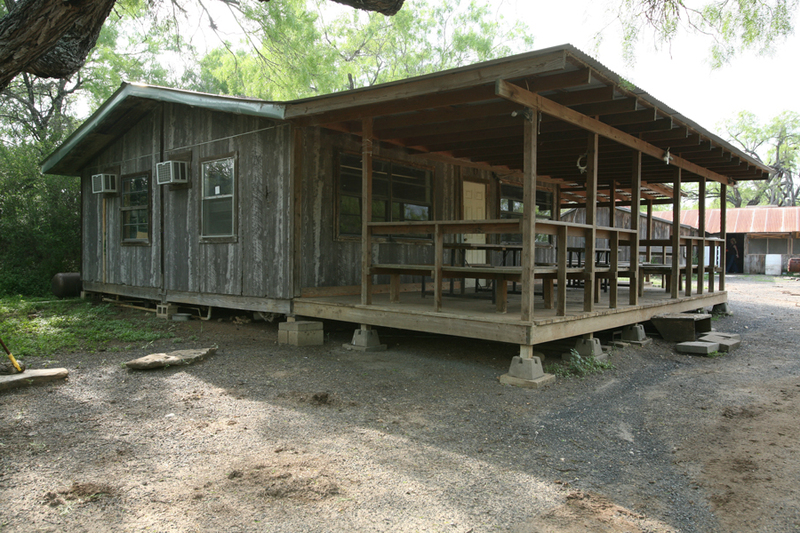 The ranch is divided into 6 separate pastures and has conveniently located accommodations available for each pasture. 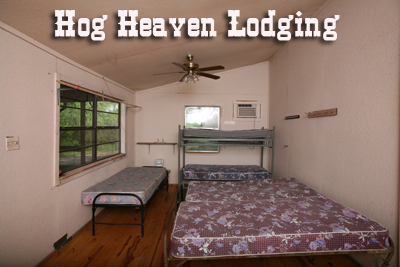 All of the cabins have full bath facilities, COLD air conditioning, heaters and are sparsely furnished with the basics. Most cabins have full kitchens with stoves, ovens and refrigerators. Sleeping arrangements are mostly bunk-style beds with mattresses. In order to keep the price of hunting low, hunters are responsible for providing and cooking their own meals and should bring their own bedding and bath towels. 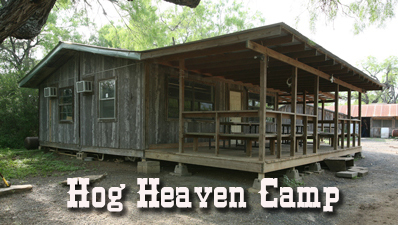 Every cabin has access to at least one BBQ pit and game processing area. We require hunters to dispose of ALL animal remains properly; well away from the camps and/or any feeders. Hunters are also responsible for removing ALL of their trash from the pastures- especially cans and plastic and glass bottles. The roads at Brushy Hill Ranch are un-paved but most of them are in good condition. All of the access roads to the cabins are wide enough to allow any size truck and trailer to travel them. As with any ranch this size, there are some rough spots on some of the roads due to erosion. Most roads can be easily driven with a 2-wheel drive truck in dry conditions. When it rains heavily we strongly recommend a 4x4 vehicle for all but the main roads to the cabins. Also,we ask that hunters not drive on the tank dams during inclement weather . 4-Wheelers, ATVs and UTVs ARE NOT PERMITTED at Brushy Hill Ranch except for electric-powered vehicles! This rule be STRICTLY enforced. This policy is intended to improve your chances of success and the success of hunters that come after you- the distinctive sound of 4-wheelers spooks our game and drastically reduces hunters' success rates, even days after the 4-wheelers are gone! Brushy Hill Ranch employs wildlife management techniques to maintain a healthy wildlife population. Currently, th e only management restrictions are being applied to whitetail deer. Specifics can be found in the Rules section of our website. All hunters are required to follow the rules and regulations of the Texas Department of Parks & Wildlife and to abide by ethical procedures for harvesting game. Bushy Hill Ranch maintains 53 active corn feeders year-round and runs a 50 mile "corn route" every day!Strategically spread out in the 5 biggest pastures, each of the feeders is set to feed twice per day- once in the morning and once in the late afternoon/early evening.Hunters are required to hunt at least 75 yards away from any feeder but are permitted to 'set up' anywhere along the daily corn route or any other part of their assigned hunting pasture. Hunters are NOT permitted to tamper, in any way, with any of the ranch's corn feeders.